Hello beauties! I always say how important your brows are when doing your make up look, it makes a huge difference. Eyebrows frame your face. I dedicate about 10 minutes of my time everyday to do my whole brow game. Until I came across this awesome product from Lashem. If you’re looking for full natural looking eyebrows, Colour Strokes Brow Tint gives you that! It claims to be flake-proof, smudge-proof and it is paraben-free. Revolutionary formula delivers a smudge-proof and clump-free tint to brows and lashes for an instantly fuller look. Powerful peptide-rich formula provides effective protection against breakage and naturally supports stronger, more voluminous lashes. It came in a really nice packaged box that has a smooth, velvet feel. Black box with white and pink fonts, perfect! The tube is in a shiny chrome color that is not cheap looking. It’s also quite heavy and a good size product for just $20. I also really like the brush that it comes with, it’s not thin and not too thick. I got the shade “Brunette” and I thought it would be light for me because I have dark hair. But as you can see from the pictures I took, the color is perfect. I do like dark and bold brows but if I’m going for a natural look, I’d definitely go for this shade! I’ve tried few other Brow Tints from different brands that I thought were okay. I was really impressed with this one from Lashem, I didn’t think it would be this good. From the pictures below, I didn’t use anything else for my brows, just the Colour Strokes Brow Tint and fixed it with a concealer. It looks like I filled in my brows with a pencil or a brow powder, but NOPE! It was so easy to work with and blended so nicely. It went on wet and dried quickly but you can keep on building the shade and look you prefer. I can also use this on times when I want my brows to look thicker. I didn’t have any problems like clumping or smudging, big thumbs up! Things I used: foundation, concealer, powder, brow tint, bronzer, highlighter, blush, mascara and lip cream. It’s all about defining, contouring and highlighting! ♥ Apply your foundation all over your face. You can skip this if you want but I like a good base. 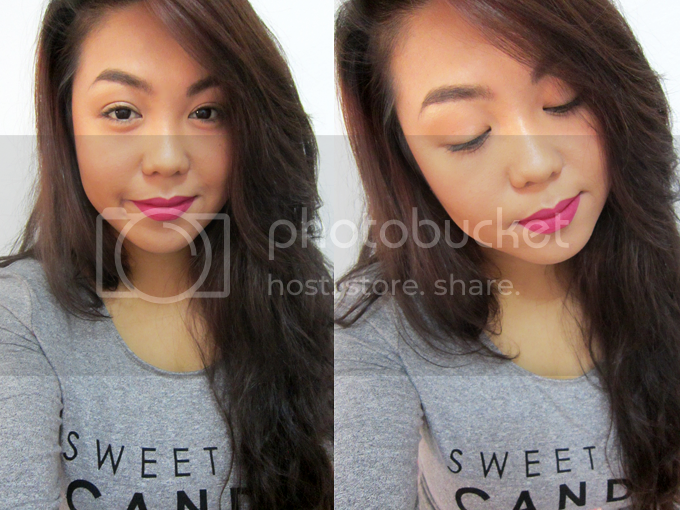 ♥ Grab your concealer, go for a shade lighter than your foundation. Apply that to hide your under eye circles if you have any. ♥ Set it with powder. ♥ Define your brows using a brow tint or whatever brow product you use. ♥ Grab your bronzer and apply that all over your crease to contour your eyes. ♥ Highlight your eyelid and your brow bone using your highlighter. ♥ Apply mascara to your eyelashes to add volume and definition. ♥ Contour along the hairline, the sides of the bridge of your nose, underside of your cheekbone and your jaw line. ♥ Highlight the areas of your face: forehead, bridge of your nose, cheek bone, cupid’s bow and your chin. ♥ Add some blush for a rosy cheek that will give you a glowy look. ♥ Then finish up with your favorite everyday lip color! And that is it for this post, I hope you liked it! 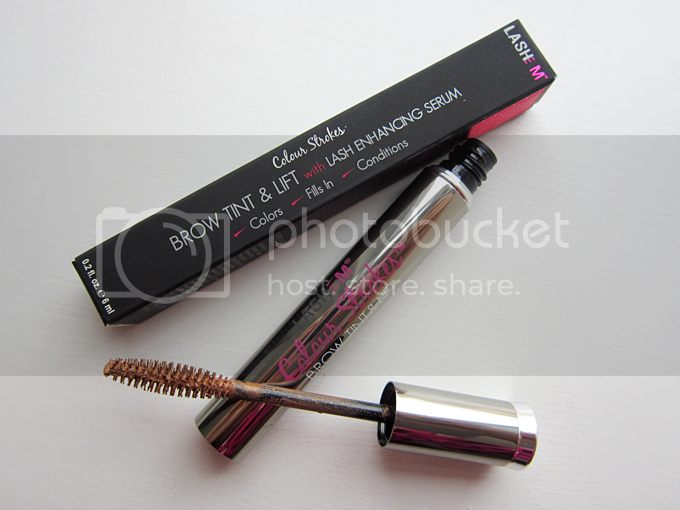 If you’re interested to purchase this Brow Tint, it is available for purchase at www.lashem.com And just because I love you my darlings so much, you can use the code BROW30BB to get 30% off your order. YAY! Don’t forget to follow Lashem all over social media for new products, updates and giveaways @LASHEM! What is your must-have brow product? DISCLOSURE: The products mentioned in this post were sponsored by LASHEM and BRANDBACKER. Nail Salon Date at Primp & Polish!